We have just over three months left in this Rotary year and so much has been accomplished. We have set a new record in District 6910 giving to The Rotary Foundation in celebrating the Centennial and I know that number will continue to grow as Rotarians continue expressing their desires to 'do good in the world' by giving. 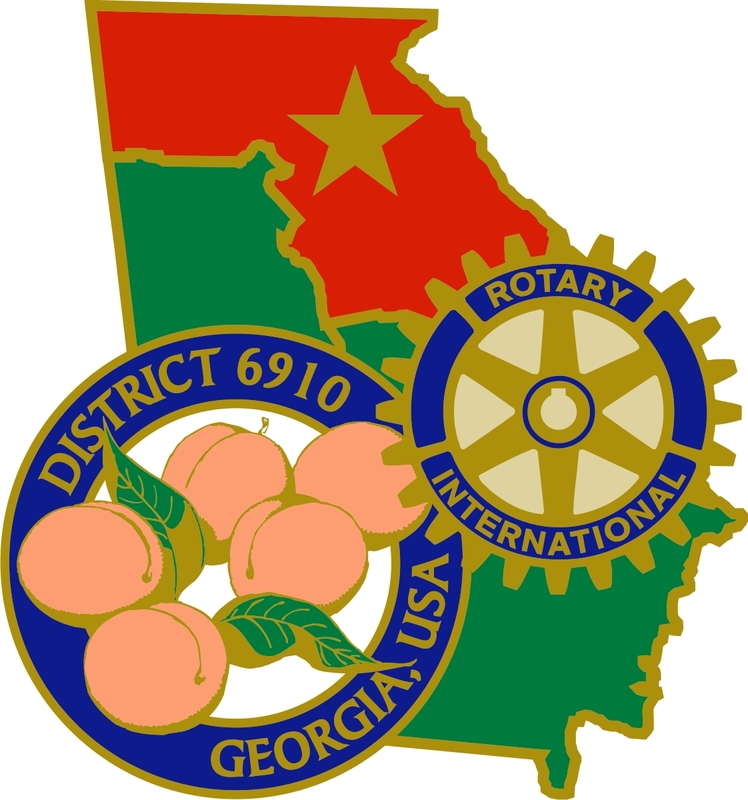 As of today, our clubs show increased membership of 100 members in Rotary District 6910. This Friday, 31 March is final day for registering with savings for the Rotary International Convention in Atlanta. Currently, we have 653 registered for the convention from our district. If you're not registered, please consider getting it done this week to avoid the walk-in registration fees. Register here. In addition to the inspiring speakers like Bill Gates, there will be informative break-out sessions. One of the best parts of the convention will be the events. You can get registered for those fun events here. Entrance to the biggest House of Friendship ever is included as part of your registration, and that will be a highlight of your convention experience. You must be registered to volunteer. Volunteers are need to staff events and at the airport. In Georgia, the three Rotary districts will be celebrating on the evening of June 9th at the Georgia Aquarium with a Million Dollar Dinner. Those donors who have given $10,000 or greater to The Rotary Foundation, either outright or in the form of a bequest, during this 2016-17 Rotary year will be receiving invitations to attend. Rotary International John Germ will be the keynote speaker, delivering a personal thank you, for your support of our Rotary Foundation. If you're interested in making a bequest gift, please either contact me, our Million Dollar Dinner Chairperson, Rich Panyik or visit The Rotary Foundation's Endowment Fund for more information. 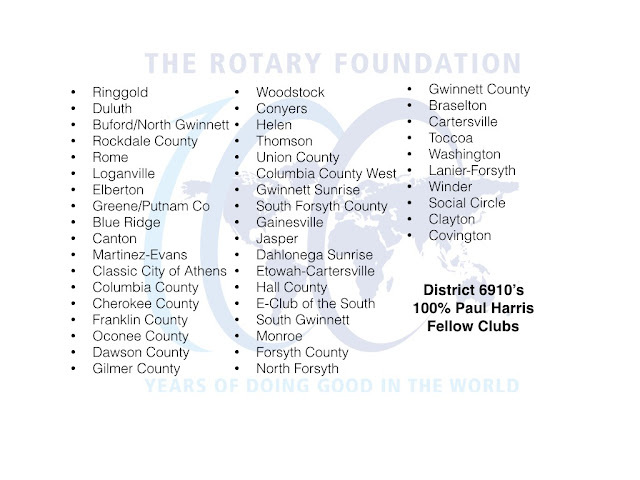 Our 100% Paul Harris Fellow Clubs continue to grow in District 6910. Here are our outstanding clubs celebrating this achievement. Congratulations, and thank you! Our clubs need more caring hearts, willing hands and bright minds with new ideas. Please share the gift of Rotary by inviting someone to attend your next meeting, social event or service projects. Consider who amongst your family, friends, clients, or business providers might be waiting for the invitation to attend. Consider how many of the people we know aren't Rotarians simply because they haven't been asked.